Wind Farms Are Dangerous – and NOTHING is being done about it. A previous blog highlighted some of the wind turbine disasters in Ireland and the failure of the lawmakers to bring out Safety Regulations governing wind farms or indeed the failure of the Health and Safety Authority to publish a Code of Practice for wind farms, as they do for various other dangerous industries / activities. Ireland does not have as highly regulated a reporting system as is found in the UK, so one wonders what is the true figure here? 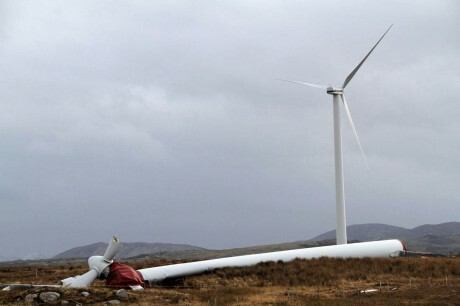 See the Report written by Michael Quinn, detailing the multitude of wind turbine disasters in Ireland. Amidst rising concerns about the safety of wind farms in Ireland, particularly as it seems that the turbines themselves are getting progressively taller and bigger with every new application for planning permission, a concerned citizen wrote a letter to the Department of Jobs, Enterprise and Innovation (“DJEI”) asking about the role of the Health and Safety Authority (“HSA”) in regards to the monitoring of safety practices on industrial wind farms. I have been asked by Mr. John Murphy, Secretary General of the Department of Jobs, Enterprise and Innovation to respond to your letter of the 30th October in which you outline your concerns regarding dangerous areas surrounding wind turbines. I also acknowledge receipt of your previous correspondence dated the 19th September and I apologise for the delay in responding. The legislation under which the Health and Safety Authority (HSA) receive their enforcement powers is the Safety, Health and Welfare at Work Act 2005 and this legislation is applicable to locations that can be defined as a “place of work”, as described in that Act. In the case of wind turbines this definition is only applicable during its construction or during any maintenance which might need to be undertaken thereafter. Therefore the HSA does not have any jurisdiction, beyond that stated, in this area. 1. 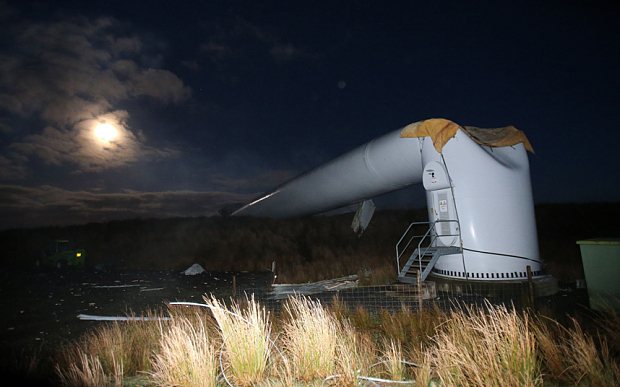 It would not be appropriate for a formal notice to be issued to all operators in the event of a dangerous occurrence to a particular make and model of wind turbine. In each case the circumstances of the dangerous occurrence would need to be fully investigated and the cause established. In the event that this investigation resulted in the belief that the equipment involved was in some way deficient then the issue of an alert as you describe it would be considered. This may not necessarily be the function of the Health and Safety Authority as it would depend on the specific circumstances of each case. 2. Information relating to the make-up of lubricants used by industrial electrical generator wind turbines is not available to this Department or the Health and Safety Authority. 3. The issue of “fenced off’ areas around individual turbines or entire wind farms is a planning matter. Any such precautions should be considered by the relevant Local Authority when granting planning permission for the installation and operation of the wind turbine/wind farm. Letters enclosing your correspondence have issued to the Secretaries General and Chief Executives of these organisations. The Secretary General has asked me to express his thanks to you for your correspondence and bringing these matters to his attention. Private Secretary to the Secretary General. I would like to look at some of the arguments put forward by the DJEI as to why it thinks the HSA “has a very limited role in dealing with wind turbines and wind farms”, to quote the Secretary-General. This concept of a “limited role” is intriguing. Either the Safety, Health and Welfare at Work Act 2005 (“the 2005 Act”) applies to wind farms or it doesn’t. I am not sure that it is correct in law to say: “Yes, the 2005 Act applies, but only a little bit”. If the Secretary-General thinks that I am wrong in my reasoning, I would welcome his correction and reasons therefor. I would argue that an industrial wind farm is a “place of work” covered by the 2005 Act as it clearly is a “place” at which “work is carried on whether occasionally or otherwise”. Turbines are fairly permanent structures, when they are not being blown over or burnt down, certainly far more permanent than a “a tent, trailer, temporary structure or movable structure”, which, according to the 2005 Act, can all be “a place of work”. The fact that the definition expressly includes the phrase “whether occasionally or otherwise” is important. Even if employees might only have to come onto the wind farm occasionally, this does not mean that the wind farm is only a place of work when they are there, it means a wind farm is a place of work as defined by the Act. On what basis therefore is the DJEI arguing that a wind farm is only a place of work covered by the Act “during its construction or during any maintenance which might need to be undertaken thereafter”? On that logic a wind farm is allowed to be a dangerous place as long as employees are not present but it must suddenly become a safe place of work when employees are present? How is that miraculous change in status possible? Or what if an employee comes to work by mistake, not realising it is a bank holiday? 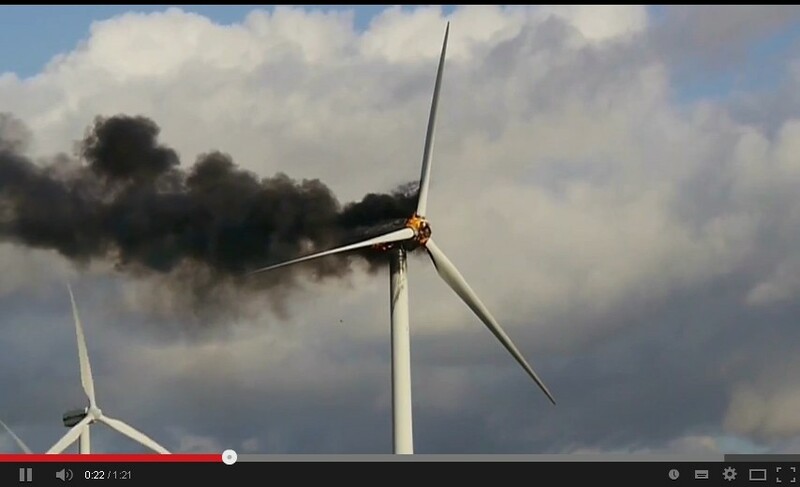 Is it legally permissible for a wind turbine to combust on that day? Tough luck for the confused employee, he should get his dates right. Sure, he deserves to burn. The other thing that seems to have been ignored is that the 2005 Act does not only make an employer or occupier/controller of a wind farm responsible for the safety of its own employees but also for the safety of others as well. An employer— according to Section 12 of the 2005 Act—and/or the occupier—according to Section 15 of the Act—are under a clear statutory duty to consider the safety and health of persons other than employees, for example the contractor who might come in to cut the grass or paint the fence. Oops, I forgot, they didn’t bother to erect a fence. Section 12 is clear that the employer / owner of a wind farm must manage and conduct that wind farm in such a way as not to harm his employees, but also so as not to harm any member of the public coming onto the wind farm where, for example, there is any risk of pollution, explosions, fire, noise, or any matter which might fall within the general definition of a nuisance in civil law. Given that wind farms are found either on or close to many paths and trails favoured by hill-walkers, the danger is obvious. “15. General duties of persons in control of places of work, etc. (c) any article or substance provided for the use of persons at that place of work, other than employees of the person who has control of the article or substance, including a person who has control of a place of work or part of a place of work in connection with the carrying on by him or her of a trade, undertaking or business (whether for profit or not). (b) as regards the safety of, or the absence of risk to health arising from, any article or substance provided for use in, that place of work, the person is deemed, for the purposes of this section, to be a person to whom this section applies to the extent of his or her obligation. (3) A person to whom this section applies shall ensure, so far as is reasonably practicable, that the place of work, the means of access thereto, or egress therefrom, and any article or substance provided for use in the place of work, are safe and without risk to health. Section 15 applies to a person who controls or ‘occupies’ a wind farm. That person is under a duty to make sure that the wind farm is safe and without risks to health. This duty includes the wind farm itself, the entrance and exit to that wind farm, and “any article or substance” in that wind farm – for example, a turbine blade (particularly when it breaks off and destroys your roof). When interpreting the English equivalent of our Sections 12 and 15, the House of Lords held that the statutory duty imposed on the employer/controller/occupier extends beyond the common law duty (R v Associated Octel Ltd  4 All E.R. 846). In other words, more care is needed when it comes to “places of work” than is required for other places. It is also important to note that Section 13 of the 2005 Act also imposes a duty on an employee (of a wind farm) to protect the health and safety of “any other person”, not just fellow employees. Accordingly I would argue that the industrial wind farm is “a place of work” and therefore covered by the 2005 Act, and that a duty of care is owed by the employer and/or owner and/or occupier of the wind farm to third parties, as well as their own employees. If the Act covers wind farms, and compels wind farms to take measures to protect third parties, it therefore follows that the HSA has a statutory duty to enforce the provisions of the Act against wind farms. Section 65 of the Act, for example, authorises an Inspector to issue a wind farm with “Directions for an improvement plan” where the Inspector tells the employer/controller/occupier to submit a plan setting out how he is going to make the wind farm a safe place, for example, by putting up a fence to prevent walkers or hikers from wandering onto the wind farm. If the wind farm does not take the suggestion seriously, the Inspector has the power to ramp things up by issuing an Improvement Notice in terms of Section 66 of the 2005 Act, which will order the wind farm to implement the necessary safety measures. If the wind farm still fails to do anything, Section 67 allows an Inspector to issue a Prohibition Notice which can shut down the wind farm until it properly implements the necessary safety measures. Is this too much to ask? “The exposure of the public in any incident will depend on the nature of the incident and any mitigating actions taken. This suggests a policy of “let’s wait and see what happens, and when something does happen, we might get involved”. This is directly contrary to the provisions of the 2005 Act, which makes it clear that the policy of enforcement must be preventative rather than remedial. (“prevention is better than cure”). 1. The avoidance of risks. 2. The evaluation of unavoidable risks. 3. The combating of risks at source. 4. The adaptation of work to the individual, especially as regards the design of places of work, the choice of work equipment and the choice of systems of work, with a view, in particular, to alleviating monotonous work and work at a predetermined work rate and to reducing the effect of this work on health. 5. The adaptation of the place of work to technical progress. 6. The replacement of dangerous articles, substances or systems of work by safe or less dangerous articles, substances or systems of work. 7. The giving of priority to collective protective measures over individual protective measures. 8. The development of an adequate prevention policy in relation to safety, health and welfare at work, which takes account of technology, organisation of work, working conditions, social factors and the influence of factors related to the working environment. 9. The giving of appropriate training and instructions to employees. Schedule 3 sets out the general principles of prevention derived from the EC Framework Directive 89/391 on Safety and Health at Work. I would argue that principles 1, 2, 3, 5, 6, 7 and 8 are directly applicable to wind farms. At the moment these principles are not being enforced by the HSA against wind farms. Put simply, the DJEI and the HSA are failing in their statutory duty to protect Irish citizens from wind farms which are clearly dangerous. Articles 4 and 11 of the EU “Machinery Directive” (2006/42/EC) is also applicable. It is the responsibility of the HSA to carry out market surveillance and to remove unsafe equipment from the market. 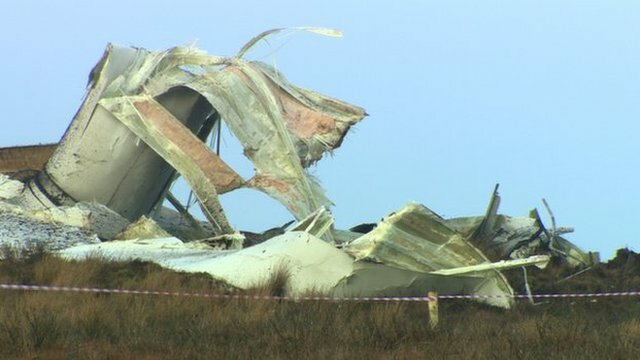 If a particular wind turbine has a history of hazardous malfunction I would suggest that the HSA is legally obliged to remove it from the market and decommission those already in operation. Ireland as a Member State is obliged to do this and so the practice of “passing the buck” between governmental departments and/or agencies is not good enough. 1. Where a Member State ascertains that machinery covered by this Directive, bearing the CE marking, accompanied by theEC declaration of conformity and used in accordance with its intended purpose or under conditions which can reasonably be foreseen, is liable to compromise the health and safety of persons and, where appropriate, domestic animals or property, it shall take all appropriate measures to withdraw such machinery from the market, to prohibit the placing on the market and/or putting into service of such machinery or to restrict free movement thereof. (a) Machinery must be designed and constructed so that it is fitted for its function, and can be operated, adjusted and maintained without putting persons at risk when these operations are carried out under the conditions foreseen but also taking into account any reasonably foreseeable misuse thereof. The aim of measures taken must be to eliminate any risk throughout the foreseeable lifetime of the machinery including the phases of transport, assembly, dismantling, disabling and scrapping. “Compliance by designers, manufacturers, importers or suppliers with the Machinery and other Directives is also required under section 16 of the Safety, Health and Welfare at Work Act 2005. Regulation 28(a) of the 2007 Safety, Health and Welfare at Work (General Application) Regulations [S.I.No.299 of 2007 ] requires employers to ensure that any work equipment provided for use by employees complies with any relevant enactment implementing any relevant European Directive. In Annex IV to the Directive, there are 23 categories of machinery, listed in the appendix to this guidance, which are subject to specific conformity assessment procedures. Purchasers of such equipment should seek evidence, if not already provided, that the equipment has been appropriately assessed to one of these procedures. This entry was posted in Uncategorized and tagged Aarhus Treaty; Aarhus Convention; UN; EU; windfarms; NREAP; Pat Swords; Rabbitte; environment; wind turbines; consultation; EirGrid;, Coolnabacky; Laois; Kilkenny; An Bord Pleanala; Andrew Boyle; EirGrid; substation; 110kV; 400kV; Rabbitte; EirGrid; pylons; EMF; judicial review; High Court; appeal; justice; Fianna Fail; Fine Gael; L, EcoPower; Ecopower Developments Limited; Waterford City Council; Waterford County Council; wind farm; County Development Plan, EirGrid; GridLink; Grid25; Fine Gael; Fianna Fail; Green Party'; Labour Party; Enda Kenny; Pat Rabbitte; Mary O'Rourke; Noel Dempsey; Bertie Ahern; Oireachtas; Constitution; EU; Directive; European Co, Health and Safety Authority; HSA; Safety, Health and Welfare at Work Act 2005; wind turbines; turbine fires; turbine death; California; Australia; Wales; HSA; Health and Safety Authority; wind energy; windfarm; planning permission. Bookmark the permalink. 6 Responses to Wind Farms Are Dangerous – and NOTHING is being done about it. Sorry but the HSA cannot get off with it that easily. This article doesn’t seem to recognise that many turbines are hosted by private farmers whose whole farming practice and land must comply with HSA standards. Therefore the turbines in them must also comply with HSA Place of Work standards. Similarly, when Coillte or Bord na Mona staff undertake any non-wind related activities they must be covered. It is a short sighted HSA cop out that will only be remedied when somebody takes a very expensive case against them. Absolutely right Vivienne. Again, it raises an important but still unclear point about the wind company leasing land from farmers either on or next to existing farms, which clearly fall under the 2005 Act. What is the wind company’s duty to the farmer’s employees who might come onto the wind farm? Again, this Underlines the absurdity of the Secretary-General’s assertion that the 2005 Act only applies to wind farms during initial construction and thereafter to periodic maintenance. That is just crazy. “ln the event of a dangerous occurrence associated with any particular type of equipment, the HSA does not, as a matter of course, issue notices to operators of equipment of the same type pending the outcome of an investigation”. However, as the same Gamesa G850 turbine is being used on a number of Irish wind farms and is due to be used on a number of other Irish wind farms, I would suggest that the HSA get a move on with their investigation before somebody is injured or killed. Reblogged this on Deise against Pylons.